The Scientific Journals of Riga Technical University comprises publications by RTU researchers and doctoral students as well as by researchers from different institutions in Latvia and abroad. • SCOPUS (Elsevier Bibliographic Database). The aim of the journal is to publish peer reviewed original research papers reporting on studies of the structure, algorithms, behavior, and interactions of natural, social, socio-technical, and artificial systems that store, process, access, and communicate information. It concerns data, information, and knowledge fundamentals, models, and management from the points of view of their discovery, engineering, and application. The journal is free of charge, i.e. no fees are charged for manuscript processing and publishing and article download. Information Technology and Management Science is a scientific journal of the Information Technology Institute of Riga Technical University. The journal is published annually. 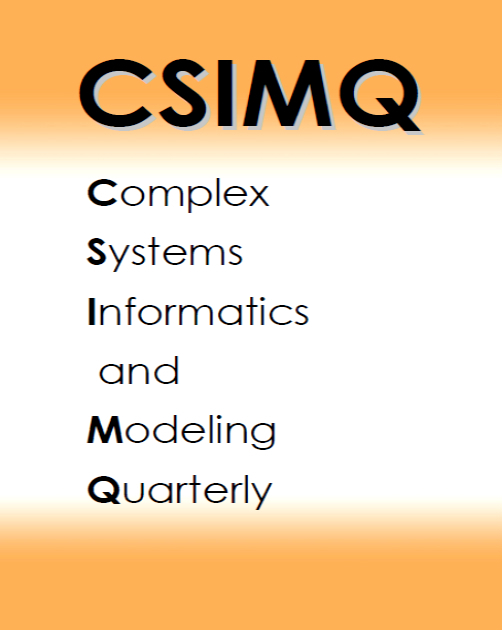 The main areas covered are management information systems, intelligent computer technologies, data mining, modelling and simulation, information processing methods, management science, and other related topics. The lasting international series "Boundary Field Problems and Computers", issued by RTU since 1966. The journal may be of importance to specialists and students interested in computer simulation of various environmental phenomena formulated as boundary field problems. Environmental and Climate Technologies is a Open Access no fee scientific Journal published by Riga Technical University. ECT current SNIP (2017) - 2.004! The Journal ensures international publicity for original research and innovative work. Journal of Power and Electrical Engineering is an international open access journal in the field of Power and Electrical Engineering. Its main goal is to give quality research papers. It provides platform to publish the research works of academicians, students and professionals. It publishes only original, unpublished and not submitted to any other journal research papers and review papers. The main focus of the Journal is issues of optimization of power supply systems, security and effectiveness of transmission lines and equipments. The journal comprises articles on the topical issues of technical and economical aspects of power industry and alternative energy. Economics and Bussines scientific journal is published in cooperation with Sciendo. 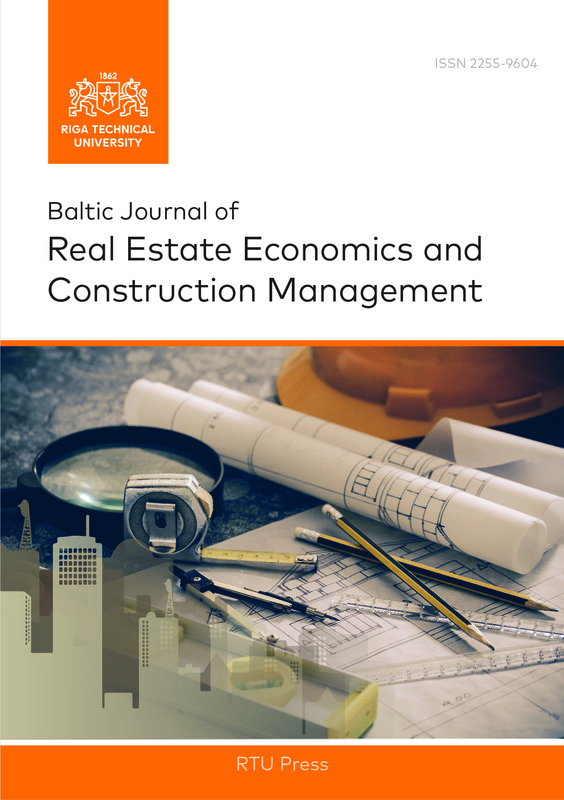 The journal articles focus on general national economic development problems in Latvia as well as specific areas of economic activities researching factors which promote or hamper economic development. The authors of the articles are academics and doctoral students of RTU. The RTU Scientific Journal „Transport and Aerospace Engineering” is a peer reviewed journal published twice a year - in spring and in autumn. The journal comprises articles on the latest practical as well as theoretical studies and experiments in the transport sector, particularly in aerospace engineering. RTU Journal «History of Engineering Sciences and of Institutions of Higher Education» is dedicated to the history of engineering sciences and institutions of higher education. The aim of the journal is to identify, evaluate and promote engineering sciences and demonstrate the role of the institutions of higher technical education in economics, culture and history of Latvia and other countries. The journal comprises original research articles written by the personnel of the Research Centre for Engineering History and historians of engineering sciences. Materials Science and Applied Chemistry is a single blind peer reviewed journal. Journal covers research in different branches of chemistry and chemical technology, biotechnology, materials science, physics and biomechanics. ABSTRACTED & INDEXED: Baidu Scholar, Cabell’s Directory, Chemical Abstracts Service (CAS) - CAplus, Chemical Abstracts Service (CAS) - SciFinder, CNKI Scholar (China National Knowledge Infrastructure), CNPIEC, Dimensions, DOAJ (Directory of Open Access Journals), EBSCO (relevant databases), EBSCO Discovery Service, Engineering Village, Google Scholar, Japan Science and Technology Agency (JST), J-Gate, JournalGuide, JournalTOCs, KESLI-NDSL (Korean National Discovery for Science Leaders), Microsoft Academic, Naviga (Softweco), Paperbase, Pirabase, Polymer Library, Primo Central (ExLibris), ProQuest (relevant databases), Publons, ReadCube, Summon (Serials Solutions/ProQuest), TDNet, TEMA Technik und Management, Ulrich’s Periodicals Directory/Ulrich web, WanFang Data, WorldCat (OCLC). "Technologies of Computer Control” is a peer reviewed international journal published by the Institute of Computer Control, Automation and Computer Engineering of Faculty of Computer Science and Information Technology of Riga Technical University (RTU). computer-aided manufacturing (CAM); computer-aided control (CAC); Programmable Logic Controllers (PLC); logic devices (PLM, PLD); gearing digital control; computer control in transport, agriculture, economics, biology, medicine, diagnostics, system recovery etc. 2. Computer networks, distributed computer control system and service. It includes computer networks and services, media, internet, voice and image recognition systems, wireless networks, sensor networks. 3. Computer graphics and image processing. It includes 2D and 3D computer graphics techniques and algorithms, pattern recognition methods, recognition neural networks, image processing techniques, scene analysis, computer vision, use of computer graphics and image processing in various industries. The Journal aims at publishing results of research concerning topical issues in development of advanced materials, constructions and technologies, recycled product application, ecological ("green") and energy efficient materials in civil engineering. Composite Materials in Civil Engineering. ABSTRACTED & INDEXED: Baidu Scholar, Chemical Abstracts Service (CAS) - CAplus, Chemical Abstracts Service (CAS) - SciFinder, CNKI Scholar (China National Knowledge Infrastructure), CNPIEC - cnpLINKer, Dimensions, DOAJ (Directory of Open Access Journals), EBSCO (relevant databases), EBSCO Discovery Service, Engineering Village, Genamics JournalSeek, Google Scholar, Inspec, Japan Science and Technology Agency (JST), J-Gate, JournalTOCs, KESLI-NDSL (Korean National Discovery for Science Leaders), Naviga (Softweco), Paperbase, Pirabase, Polymer Library, Primo, Central (ExLibris), ProQuest (relevant databases), Publons, QOAM (Quality Open Access Market), ReadCube, Sherpa/RoMEO, Summon (Serials Solutions/ProQuest), TDNet, TEMA Technik und Management, Ulrich's Periodicals Directory/ulrichsweb, WanFang Data, WorldCat (OCLC). 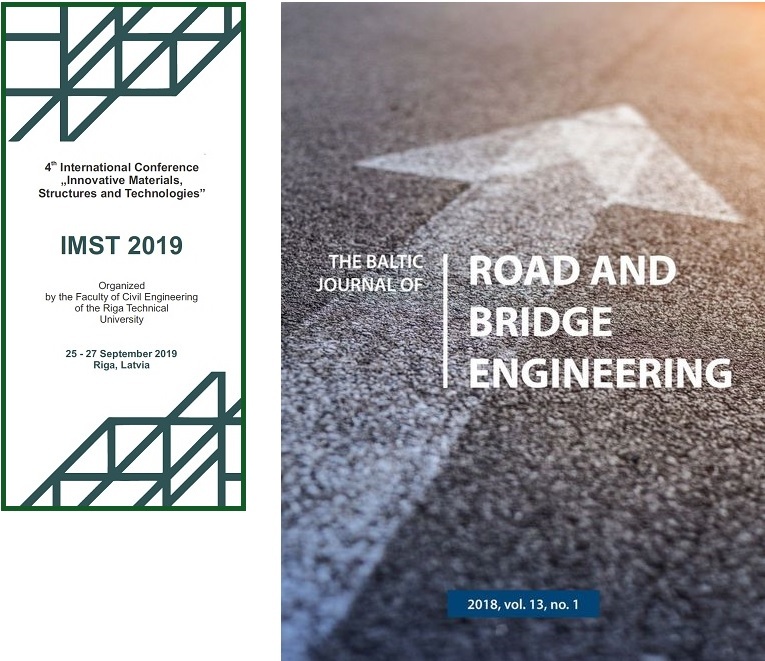 The journal comprises publications by RTU researchers and doctoral students as well as by researchers from different institutions in Latvia and abroad. The aim of the journal is to publish results of research concerning topical issues in the field of textile materials technologies and design. It provides information about the research carried out at Riga Technical University, results of collaborative research with institutions in Latvia as well as the achievements of the researchers in other European countries. Researching properties of textiles and their application in medicine, veterinary, garment manufacturing construction. This issue includes papers presented in the 19th EUNIS congress "ICT role for Next Generation Universities". All included papers were reviewed by EUNIS 2013 Program Committee. Proceedings of REHVA Annual Conference "Advanced HVAC and Natural Gas Technologies"
It is my great pleasure to invite you to the REHVA Annual Meeting and the Conference on Advanced HVAC and Natural Gas Technologies which takes place this spring in one of the Baltic States – Riga, Latvia on May 6–9, 2015. This year, Latvia, for the first time, is assuming the Presidency of the Council of the European Union and I am very honored to meet the leading international scientific and engineering colleagues and friends in the field of Heating, Ventilating and Air-Conditioning (HVAC) during this historical moment. These proceedings include 38 scientific papers from 16 countries. Presented studies cover such topical subjects as energy efficient buildings, indoor climate, safe and sustainable energy supply and production. All papers have high scientific quality as well practical industrial application. I would like to thank the authors for their valuable contribution to the proceedings of “Advanced HVAC and Natural Gas Technologies”. The International Scientific Conference „Innovative Materials, Structures and Technologies"